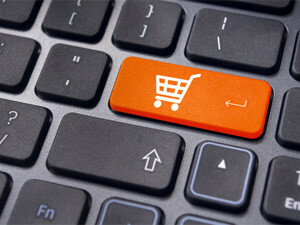 Cape Town is the country's e-commerce hub, city officials claim. Johannesburg may be regarded as SA's economic powerhouse, but it is the City of Cape Town that can lay claim to being the country's e-commerce hub. This is the word from the city's executive deputy mayor, Ian Neilson, who says Cape Town's well-established tech landscape makes it an appealing destination from which to run an e-commerce business. Neilson says Cape Town accounts for the lion's share of the headquarters of the most well-known e-commerce companies in the country. In 2014, Cape Town-based companies accounted for 10 of the most visited e-commerce Web sites in SA. Some notable e-commerce companies headquartered in the Cape include Takealot.com, Superbalist, Zando, as well Spree.co.za. Neilson says factors underpinning Cape Town's attractiveness to e-commerce companies include an appealing lifestyle; an extensive network of supporting companies and institutions, including payment gateways, software developers and tech incubators; a strong supply of ICT skills among the workforce; and better availability of venture capital than in other areas of the country. In line with growing its e-commerce sector, the city has set itself the goal of establishing Cape Town as a forward-looking, globally competitive business city, according to Neilson. "The strides that the e-commerce sector has made in our city are helping to boost our international reputation in the tech space. "I am confident that more tech companies and start-ups will establish a presence in Cape Town going forward, wanting to tap into the synergies of the local tech ecosystem, the high standard of local infrastructure, and the high quality of local talent." Although the South African e-commerce space isn't as developed as mature markets, local consumers are increasingly choosing digital options over traditional shopping patterns. Last year, the Online Retail in South Africa report, released by World Wide Worx, showed online retail continued to grow at a high rate in the country, having maintained a growth rate of above 20% since 2000. World Wide Worx further forecasts that, over the next five years, online retail sales will almost double. The E-Commerce Industry Report, released by Effective Measure in 2016, also showed similar forecasts, which revealed growing confidence in e-commerce among local consumers. "The digital space is increasingly disrupting the way in which we watch and listen to content and how we keep in touch or communicate. The way we shop can no longer escape our digitally connected world. A greater number of consumers are choosing to shop online, using one of their favourite digital devices from the comfort of their homes or at their desks. "The current online purchasing numbers may be small in comparison to traditional buying habits; however, there is an increasing shift to online purchasing. A disruptive evolution in the retail industry is under way," Neilson concludes.